It’s a fast-paced world, and though technology has made great strides, digital interconnectedness sometimes comes at a cost. It’s increasingly challenging to keep personal and professional lives separate, and you’re often expected to answer your work phone while attending your kid’s soccer game on a Saturday afternoon. On the other hand, technology also allows users to balance personal and professional responsibilities — for example, you can host a work conference call from your home office and then immediately spend time with your children without ever having to commute back and forth from the office. Life always has its ups and downs, and mobility is making it harder to unplug. However, VoIP technology is one of the most popular, effective, affordable and flexible tools that can help keep you stay connected with your most important contacts. VoIP stands for voice over internet protocol (also referred to as voice over IP, IP telephony or internet telephony). To explain it simply, VoIP is an internet-based phone service. This means that instead of having your phone calls delivered through landlines or cell towers, VoIP technology works behind the scenes to deliver phone call audio via the internet. When you’re using VoIP technology, you can set up a home phone that’s just like using a landline. You can also install a VoIP app on your cell phone so that calls are routed over a Wi-Fi or data connection, saving you from using minutes on your phone plan. Like traditional phone services, VoIP has a variety of features, including voicemail, fax, caller ID and call waiting. However, VoIP technology offers more than just phone service. Users can also enjoy instant messaging, web and video conferencing, and the ability to transfer calls from desk phones to smartphones. When selecting a VoIP service, you typically have three options: computer to computer, ATA, or IP phone. It’s best to first assess your needs and compare each choice, because they all have their advantages and disadvantages. It ultimately comes down to your budget and features that suit your specific needs. To help make your decision easier, let’s compare the pricing, features, contract terms, service reliability and customer service provided by each of these VoIP services. To start, here’s what one of Ooma’s long-time customers had to say. Regardless of whether you need VoIP for work or family or both, pricing likely plays a large role in your decision making. While magicJack may entice customers with cheaper plans, Ooma is an affordable solution with options for free phone calls after purchasing equipment. With magicJack, your annual costs could be $39 with a small discount available as an introductory promotion. Using Ooma, standard service is completely free. Just pay taxes and applicable fees, and you get unlimited domestic calls. Ooma also offers Premier Residential Phone Service for $9.99 per month to get access to additional services. 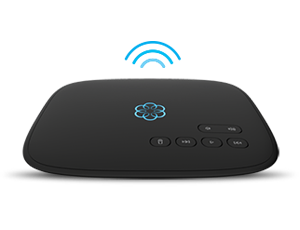 The biggest up-front cost you’ll have with Ooma is the purchase of hardware like the Ooma Telo, which retails for $100 and can sometimes be found for even less. This device works with your existing phones — up to four — and also connects to the Ooma HD2 handset that allows you to make crystal-clear calls hands-free. Both Ooma and magicJack have free activation and international calling plans that are significantly cheaper than the rates available through traditional phone service providers. After reviewing pricing plans, you also want to go over features that each VoIP service provides. Ooma’s basics, such as voicemail, caller ID and reliable 911 services, are free. Ooma also provides a virtual second line, allowing two people in your home or office can make calls at the same time. The Premier plan comes with an additional set of advanced calling features like three-way calling, voicemail forwarding and transferring your existing number. Ooma also has a free calling app for iOS and Android users, so you can receive calls and messages when you’re on the go. Whereas magicJack does not recommend that you use their phone service with an alarm system, Ooma integrates with the Ooma Home security solution. Unlike magicJack, Ooma can connect to many smart home devices and integrates with the smart security solution, Ooma Home. Unlike magicJack, Ooma can connect to many smart home devices and integrates with the smart security solution, Ooma Home. Dial your local 911 dispatcher, even if you’re not at home. In addition, you can customize incoming calls with visual alerts, such as applying a green background for known callers and red for unknown callers, by syncing Ooma Telo with LIFX light bulbs. Ooma Premier customers can also use customizable call blocking tools to protect against telemarketers and robocalls. You can use Ooma to block known spammers, suspected spammers, anonymous callers, and custom numbers with Ooma. Call blocking with magicJack is more limited. While you can block specific phone numbers, protection against telemarketers is limited to signing up for the national Do Not Call Registry. Furthermore, Ooma offers an advanced voice compression algorithm that reduces bandwidth consumption by 60% over standard VoIP technology. For business owners, Ooma provides a virtual receptionist, extension dialing, conferencing, music on hold, virtual fax and the ability to support up to 20 users. It’s no wonder Ooma has been named by PC Magazine as the top VoIP service for small business owners for the past six years. magicJack also comes equipped with a number of popular features, like being able to receive home calls on your smartphone, voicemail, call waiting, call forwarding and the ability to make conference calls. But overall, magicJack is more of a bare-bones solution. When comparing business VoIP services, PC Magazine has named Ooma the #1 VoIP provider for the past six years, and magicJack lagged behind in 4th place in the 2019 ranking. When users were asked about their likelihood of recommending the service, 69 percent of Ooma users would recommend the service, compared to only 43 percent of magicJack users. Notably, magicJack only offers support via chat or email, and no phone support. Ooma is one of the select few VoIP providers that offers 24/7 chat support and phone support from 9 a.m. to 9 p.m. Monday through Friday, and from noon to 9 p.m. on weekends. Additionally, reviews indicate that Ooma’s customer service is helpful and efficient at solving any issues quickly and painlessly. While both Ooma and magicJack provide low-cost VoIP phone service, magicJack’s service is both low-cost and low-quality. 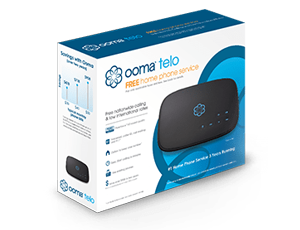 As CNET stated, the service is a “trade-off between price and reliability.” Comparatively, Ooma may require you to purchase hardware up-front, such as the Telo, the HD2 handset and Bluetooth or wireless adapters, but Ooma provides high-quality service that is consistent, reliable and flexible. In the end, pay for what you get, and Ooma is overall a better value for VoIP services. Note: Prices, offers, and comparisons are as of March 2018. Ken Narita’s marketing career spans two decades helping businesses large and small grow. Whether it’s been advising emerging startups, guiding clients from the agency side, or currently, leading SMB marketing at Ooma, Ken has always taken an empathetic approach to addressing goals, gaps, and opportunities. Previously at TriNet, from 2011 to 2017, he grew and led the revenue marketing team through a period of rapid change and growth where net service revenue consistently grew in a range of 15-20% per year and reached $650 million at the end of his tenure. Ken has led demand generation, field marketing, customer marketing, and marketing operations teams and enjoys the ability to integrate campaigns across all functions to drive results. presently a MJ customer what about porting the phone Number over? You buy the ooma hardware no monthly fee what about a fee for porting and keeping my existing phone number? What’s Being Done by Lawmakers to Block Robocallers?